Few will deny that America is a different place than it was 20, 10 or even five years ago. While those changes can be attributed to a variety of reasons, New York Times best-selling author Brigitte Gabriel says that at least part of the shift is due to ever-changing U.S. immigration policies. In her newest book, Rise: In Defense of Judeo-Christian Values and Freedom, Gabriel will arm readers with real data and compelling facts that will equip them to fight the efforts of America's enemies to undermine our nation at every level of society. Rise will also motivate readers to unite with other patriots who wish to preserve America's endangered Judeo-Christian values and freedom. "When did our immigration system start functioning like a charity to benefit third-world countries rather than America?" Gabriel unabashedly writes in Chapter 6, "Transformation Through Immigration." "When did it become the case that the interests of foreigners should take precedent over those of American citizens? It's a peculiar thing. A massive wave of third-world immigration has been engulfing America for half a century, yet all American citizens hear about from the 'lamestream' media is what a racist, intolerant country we live in. If we don't openly accept millions of individuals who have no desire to embrace the language, culture and values that made America the greatest country in the history of the world, we must be racists. "Of course, it's easy to make that argument from the Manhattan high-rises that leftist pundits reside in, or from the gated D.C. communities of our politicians," she continued. "It's not the elites who have to suffer the consequences of hundreds of thousands of unvetted foreigners flocking to the United States. It's not the elites who have had their communities transformed, endangered and eroded by 10 million illegal aliens. Like always, it's the average American citizen who bears that burden." Gabriel, a legal immigrant from Lebanon who went through the entire process to be a citizen of the "best country in the world," says she purposefully uses the word "unvetted" when technically there is a vetting process in place. "I haven't fallen for the mainstream media lie that we have a legitimate vetting process in this country," she added. "The truth is, this so-called 'vetting process' is merely a smokescreen used by leftist politicians to keep the public from knowing the dangerous reality involved in refugee resettlement. Still, even after decades of putting up with an immigration system that seeks to benefit those outside the United States rather than its citizens, we still get lectured by PC pundits and the frauds who pretend to represent us in Washington, about how we need to be a more 'tolerant' and 'diverse' country. Brigitte Gabriel: What Does Immigration Really Cost? "As a legal immigrant from a war-torn Lebanon, I understand the plight of those seeking shelter from violence and oppression from their native countries," Gabriel said. "I also understand the very legitimate fears that the common American has about their country and local communities being transformed before their very eyes. America is great for the very reason that it does not allow lawlessness and embodies a set of Western principles that the countries many are fleeing from fail to uphold. The problem arises when those fleeing lawless, violent and corrupt countries seek to benefit from the safety, prosperity and generosity of the United States while not realizing that the reason America is a country they want to flee to is because we do not allow anarchy. We do not allow anyone to come here simply because it's convenient for them. We do not look the other way when someone violates federal immigration policy." Rise contains Gabriel's most hard-hitting, explosive message yet. It's not only a warning but also a rallying cry to unite Americans of all backgrounds in a fight for the survival of the nation, the protection of the Judeo-Christian values upon which it was built, and the preservation of the freedoms on which future generations depend. In the 10 years since her groundbreaking first book took the world by storm, Gabriel has boldly faced death threats from terrorists, condemnation from critics and attacks from the "PC Police," yet she refuses to back down. Gutsy, spirited, undauntable and resolute, Gabriel now issues a new clarion call to America that addresses the historical and religious basis of our greatest threats to national security. In Rise, she informs Americans about why this matters to them, their families and their personal freedom, and helps them draw the battle plan for what they can do to preserve their rights and freedoms before it's too late. Out on Sept. 11, Rise will also reveal alarming evidence to open readers' eyes regarding the imminent threat and ever-widening plot to destroy long-enjoyed freedoms and national security. Gabriel started her organization, ACT for America—now approaching 1 million members—in an effort to protect the citizens of the United States from the horrors she experienced as a young girl in her native Lebanon. She is also the celebrated author of two New York Times best-sellers, Because They Hate: A Survivor of Islamic Terror Warns America (2006) and They Must Be Stopped: Why We Must Defeat Radical Islam and How We Can Do It (2010). Rise is published by Frontline, an imprint of Charisma House, which has published 14 New York Times best-sellers. For more information on Brigitte Gabriel, visit risetoact.com or follow her on Facebook, Twitter or Instagram. 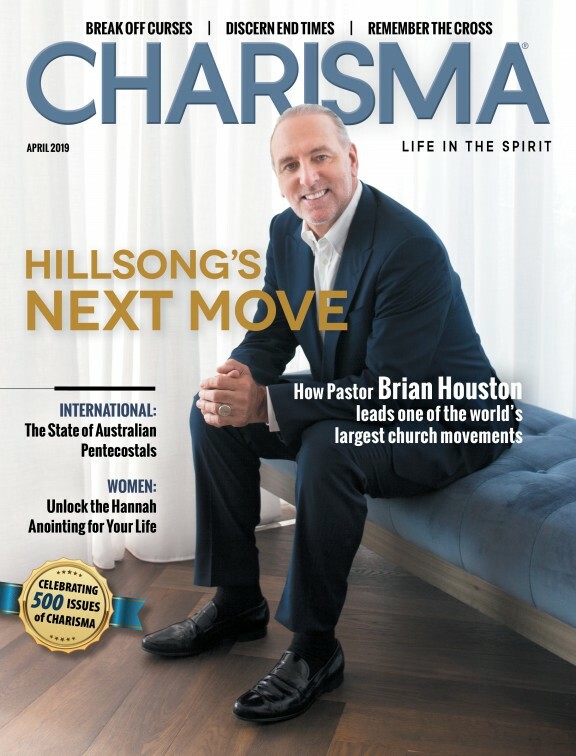 View the media page for Charisma House here.